The Suzuki Alstare rider line-up for the 2010 World Superbike season has changed completely, with Max Neukirchner out and Yukio Kagayama now heading back to the British Superbike Championship once again. The new rider line-up will be Briton Leon Haslam (photo) and Frenchman Sylvain Guintoli. Haslam has long been the target of team boss Francis Batta, but the inclusion of Guintoli was only recently fixed, after the surprise exit of Max Neukirchner. Guintoli is an experienced rider on the GSX-R now, and on Pirelli tyres, having competed in BSB racing last season. Said Batta, "Sylvain already knows about the Suzuki GSX-R and Pirelli tyres and his professionalism and motivation for this new challenge are positive factors for us to start working together straight away. We at Team Suzuki Alstare are also very happy to welcome a British rider. The Suzuki UK distributor has always given great support to Team Suzuki Alstare and all of us are delighted to have signed Leon Haslam for the 2010 World Superbike Championship. Leon has a good family set-up and they advise, support and help him very well. 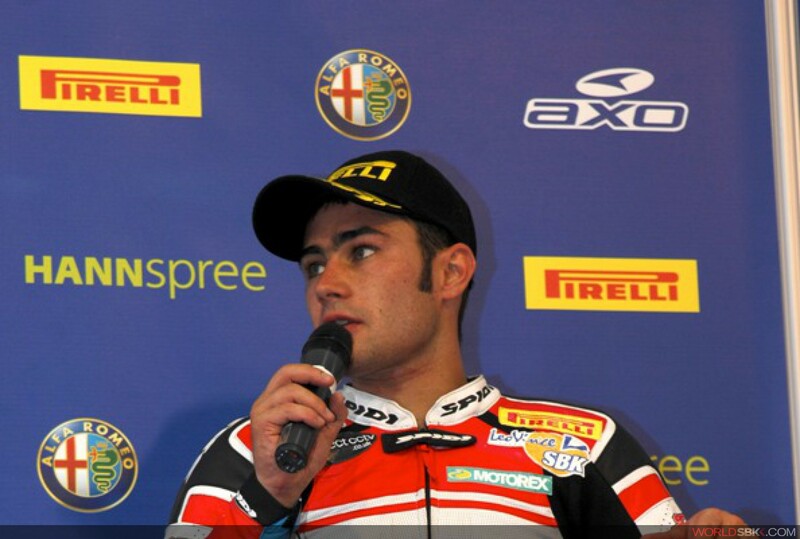 He has a real fighting spirit and is one of the best riders in the WSBK series, for sure. We are certain he will fit in perfectly with the Team Suzuki Alstare structure, as we both share the same desire to work hard and to win." Leon Haslam "The opportunity to join Team Suzuki Alstare was something that my father and I took extremely seriously immediately. The team enjoys direct support from the manufacturer and a long history of success, so joining them offers me an exciting step forward in my career. Meeting Francis (Batta) and listening to his plans and desire to succeed confirmed the potential of the whole team and its infrastructure. Suzuki Alstare has a very experienced team of technicians and potential for development, both in-house and via the factory in Japan. This means that the team is 100% geared up to win the 2010 World Superbike Championship. This is naturally opening a new chapter in my own career and one that I relish. The team has a promising winter test plan (with the Suzuki factory) so I'm very much looking forward to these tests, the 2010 World Superbike Championship and challenging for the world title."